Larger than life tuatara carved from the head of a kauri tree cut at Pipiwai in the 1930's. Carved from a kauri head cut at Pipiwai in 1930's. Kauri gum eyes. 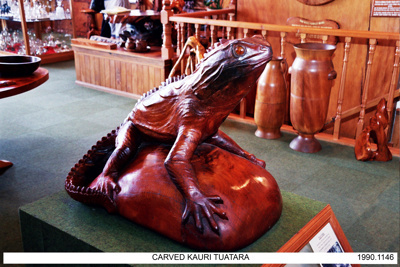 Tuatara is on a carved rock.